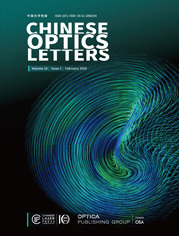 This Letter tackles the issue of non-contact detection of ultrasonic fields by utilizing a novel optical method based on the parametric indirect microscopic imaging (PIMI) technique. A general theoretical model describing the three-dimensional anisotropic photoelastic effect in solid was developed. The mechanism of polarization status variations of light passing through the stress and strain fields was analyzed. Non-contact measurements of the ultrasonic field propagating in an isotropic quartz glass have been fulfilled by the PIMI technique under different ultrasonic excitation conditions. PIMI parameters such as sin δ, Φ, and the Stokes parameters have been found to be sensitive to ultrasonic fields.